Mohawk Valley at Elmira, 7:05 p.m.
Watertown at Glens Falls, 7:05 p.m.
*The countdown continues. Just three days left in the regular season - today, tomorrow and Wednesday. By the time Wednesday's action has come to a close, we'll have four teams set to advance on to the PGCBL playoffs. Playoff Picture: Newark clinched a playoff spot last night by virtue of its' 3-1 win over Elmira. The Pilots are currently 25-19 and can finish no worse than 25-21 with two scheduled games remaining. Even if Mohawk Valley were to catch Newark in the standings, Newark would hold the head-to-head tiebreaker and gain the higher seed. That leaves Glens Falls, Oneonta, Mohawk Valley and Albany fighting for the final two postseason berths. John Mayotte's Glens Falls Golden Eagles have a playoff magic number of two with just two more victories and/or Mohawk Valley losses though possible playoff positioning with Newark wouldn't likely be decided until the final out on Wednesday night. That said, Glens Falls, even with a win tonight needs another win or MV loss to clinch a playoff spot. If either Oneonta or Mohawk Valley win out and Glens Falls goes 0-2 in its last two games, the Eagles would finish percentage points behind both DiamondDawgs and Outlaws. Oneonta, Mohawk Valley and Albany look like they may fight it out for the final spot. The toughest road belongs to the Dutchmen, they need to win out their remaining four games and then hope that Oneonta and Mohawk Valley both lose out. Albany also has two of its final four games against nationally-ranked Amsterdam. The extra game at hand Albany has comes in the form of a resumed game with Cooperstown that will be played on Tuesday at "The Bob." Albany trails in that game 15-11 entering the eighth and will play the final two resumed innings as the road team. *The only things that are certain right now in the playoff race are that Amsterdam and Newark will both be playing this coming Friday night. Against whom, well, that's what we will find out over the next three days. *Congratulations to this week's weekly award winners, both interestingly enough from the Atlantic 10. Newark's Daniel Thorpe (Saint Joseph's, Pa.) won the Pitcher of the Week prize with his complete game 12-strikeout performance on Sunday night at home against Elmira. Conference mate Danny Brennan (Saint Louis) from the Glens Falls Golden Eagles earned the Player of the Week award. He is the second Golden Eagle to win the award this season and the first not named Ross Kivett (Kansas State). *Some great pitching performances overall this past week were of course topped off by Daniel Thorpe's (Saint Joseph's, Pa.) complete game win on Sunday night. It's just the second nine-inning complete game this year; Elmira's Dylan Waugh (Arizona Christian) threw the other last month against Cooperstown. Thorpe's 12 strikeouts were the second-most recorded by any pitcher this summer. Mohawk Valley's Joe Michaud (Bryant) set the season high with a league record 15 strikeouts against Glens Falls. *Thorpe's teammate Cullen Babin (Delta State) finished as the Pitcher of the Week runner-up. 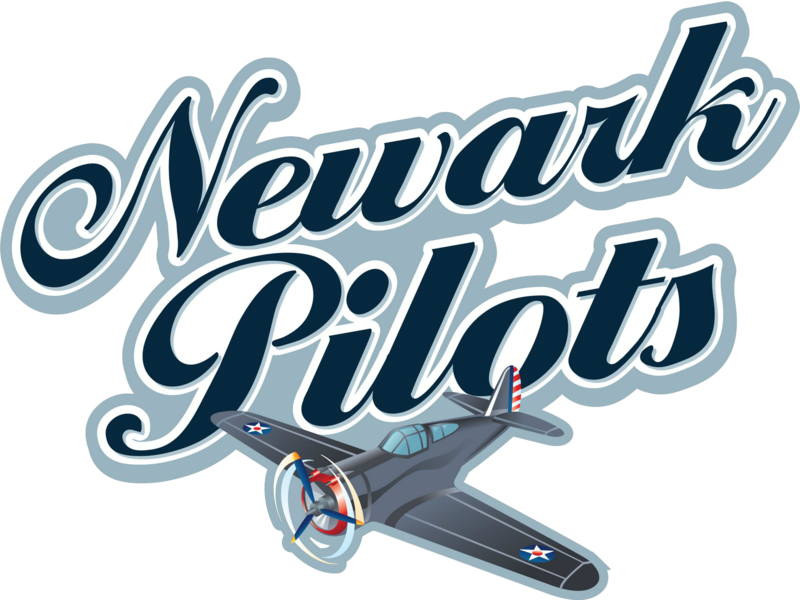 Babin contributed to a pair of Newark victories. He tossed a four-hit shutout and struck out six in a 5-1 victory over Watertown on July 27, two nights after throwing a scoreless ninth to earn a save against Elmira. Both games were at Colburn Park. *Here are some other strong pitching performances. Amsterdam's Chandler Shepherd (Kentucky) tossed a three-hitter in a seven-inning complete game against Glens Falls. For the second time in his last two starts, Shepherd carried a no-hitter into the sixth inning. Teammate Rocky McCord (Auburn) struck out 11 batters in just seven innings in the same doubleheader at home with Glens Falls. Albany's Kasceim Graham (UAlbany) and Mohawk Valley's Evan Davis (Marist) had a great pitchers' duel at "The Bob." Graham fired a five-hitter for eight frames, allowed one run and struck out six while Davis yielded two runs, one unearned, on eight hits and struck out four. Elmira's Craig Pearcy (Morehead State) turned in a pair of strong starts. In 13.0 innings, Pearcy allowed two runs on just five hits and he struck out 11. However he did not receive a decision in either game. Tayler Saucedo (Tacoma C.C.) struck out 10 in 6.2 innings on Sunday evening against Albany. Sheldon Lee (U. San Francisco) earned his seventh victory by yielded just one run in seven innings against Cooperstown on Sunday. *Offensively it was a tough week for all simply because of so few games played mainly due to the weather. 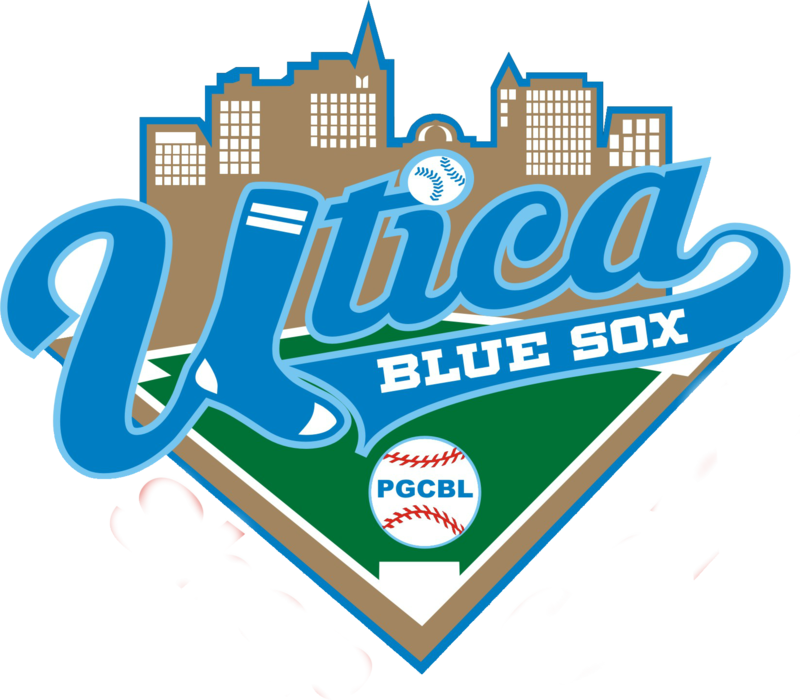 Collegiate teammates Danny Brennan (Saint Louis) and Mike Vigliarolo (Saint Louis), both of Glens Falls, were the only league players to reach double digits in hits (11) though Glens Falls played the most games of all nine teams. *Other top offensive performers include the following players... Casey Rodrigue (LSU Eunice) and Chase Griffin (Ga. Southern) of Glens Falls each batted .333 and socked out seven hits. Amsterdam's Zak Colby (Faulkner) batted .389 with seven hits including three doubles. Elmira's Tyler McIntyre (Central Connecticut State), Kendall Konopka (Arizona Christian) and Steven Patterson (San Joaquin Delta) all batted over .300. Konopka led the Pios with seven hits, Patterson scored five times and teammate Zac Bellinger (VCU) drove in six runs. Watertown's Jordan Enos (Holy Cross) socked five hits and walked five times in three games for a .556 batting average. Teammate Derek Hagy (UTPA) also had five hits in three games and drove in three runs. Oneonta's Zander Wiel (Vanderbilt) and Zach Lucas (Louisville) both batted .375 and each slugged one home run. Oneonta's Zac Johnson (Illinois State) scored four runs and drove in four more while teammate Shane Crain (Louisville) also had four RBI. *Records for the week....Newark 3-0, Amsterdam 4-1, Oneonta 3-1, Watertown 2-1, Glens Falls 3-3, Albany 2-2, Elmira 1-4, Cooperstown 0-3 and Mohawk Valley 0-3. *Oneonta's Sheldon Lee (U. San Francisco) tied one league leader on Sunday and pushed himself into the league lead in another category. Lee, in his ninth start for the Outlaws, earned his seventh win. Lee is now tied for the league lead in wins with Amsterdam's Chandler Shepherd. The native of Honolulu, Hawaii, also picked off his fifth runner this season to take sole possession of first place in that category. He had been tied with Albany's Blake Smith (Morehead State). Lee also picked one runner off during the PGCBL All-Star Game. Overall he is 7-1 with a 2.72 earned run average and 42 strikeouts in 53.0 innings pitched. *Amsterdam's Zak Colby (Faulkner) added yet another multi-hit game to his arsenal on Sunday night with four hits against the Mohawk Valley DiamondDawgs at Vet's Park. Three of Colby's four knocks went for doubles. Colby has blasted 19 doubles this summer which are the most for any league hitter. In addition, Colby's four hits moved his batting average to .393, .008 behind league leader Ross Kivett (Kansas State) with three days left in the regular season. *Jeff Limbaugh (Parkland) of the Amsterdam Mohawks has hit two home runs this summer and both have been game winners. Earlier this month, Limbaugh clobbered a three-run home run against Watertown in an 8-5 victory at Shuttleworth Park. The three-run belt broke a 5-5 tie. Sunday night, Limbaugh launched a massive home run into the center field bleachers at Vet's Park to put Amsterdam ahead 4-2. The Mohawks would not trail or be tied after that. *The Amsterdam-Mohawk Valley game could have turned out much differently. The Mohawks benefitted from two strong defensive plays in the eighth inning with a 5-2 lead. Jonathan Scott (Bryant) started the home eighth with a double. The next batter, Tyler Hall (Herkimer County C.C.) hit a ground ball to the right side that under most situations, would advance the runner to third. Instead, first baseman Josh Nethaway (UAlbany) fielded the ball and gunned a throw across the infield to retire Scott at third for the first out of the frame. Later in the inning, Joe Carcone (Bryant) attempted to score from second on a two-out base hit into center field by Tyler Heck (Union, N.Y.). Center field Ed Charlton (NJIT), who had entered the game as a defensive replacement at the start of the inning, fielded the ball and threw Carcone out at the plate to end the inning. *Mohawk Valley was the first team to conclude its regular season home schedule on Sunday night. All three games remaining for the squad from Little Falls will be played on the road. *Former Major League pitcher Tommy John coached first base for Mohawk Valley on Sunday night. *Amsterdam's Kyle Rufer (Schenectady County C.C.) got a measure of revenge against Mohawk Valley at Vet's Park. Rufer, in his first appearance versus the Dawgs, gave up a two-run home run to Chris Cruz (Cornell) at Shuttleworth Park. At the time, the home run tied the game 3-3. Amsterdam eventually went on to win 4-3 on a Zak Colby (Faulkner) walk-off in extra innings. Sunday night, Rufer turned the tables on the Dawgs. He blanked Mohawk Valley for 2.2 innings and struck out four to earn his first win of the summer. *All-star infielder Zach Remillard (Coastal Carolina-2012-13) returned to the field for the Albany Dutchmen for the first time last night since the All-Star Game. Remillard left the All-Star Game early. He did not play in Albany's next two games however he re-appeared last night against Glens Falls as a pinch hitter. The LaSalle Institute graduate leads the Dutchmen with a .372 batting average. *Glens Falls has played three extra-inning games this year. All three have been decided by a 4-3 score. 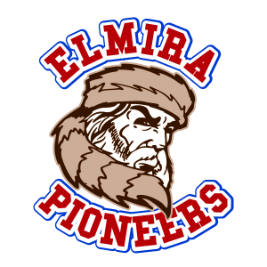 *Not too long ago, Newark and Elmira combined for 21 runs in a wild 11-10 decision that favored the Elmira Pioneers at Dunn Field. Last night may have been the exact opposite at Colburn Park. Newark, behind a 12-strikeout performance from Daniel Thorpe (Saint Joseph's, Pa.) defeated Elmira 3-1. Thorpe and Elmira starter Craig Pearcy (Morehead State) each allowed just one run. Pearcy yielded three hits in seven innings while Thorpe fired a complete game five-hitter. Both teams finished the night with five hits apiece. 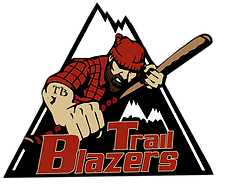 *After many slugfests this season between Glens Falls and Albany, Sunday night's game was a low-scoring thriller. Glens Falls edged Albany in 10 innings to pick up a big win in the playoff race and win the season series with the Dutchmen 6-4. Glens Falls pitchers bent but did not break and forced Albany to leave 13 men on base. Starter Ryan Peterson (Yavapai) worked into a bases-loaded jam with one out in the sixth and allowed just one run. Jordan Keysor (Skidmore) faced a bases-loaded situation in the eighth and did not allow a run. Ryan Skoubo (Tacoma C.C.) quelled an Albany rally in the eighth and stranded two runners on base and then Brandon Matthews (Yavapai) came during the ninth. Matthews pitched out of a bases-loaded situation with one out and held Albany scoreless. He induced a double play in the 10th and then ended the game with a strikeout. *Oneonta's Logan Brown (Baylor), Zach Lucas (Louisville) and Shane Crain (Louisville) nearly accounted for all of the Outlaws' offense in a win over Cooperstown on Sunday. Brown was plated once by Lucas and once by Zac Johnson (Illinois State). He also drove in one run. Lucas scored twice, both times on balls hit by Shane Crain. *Three days left. In one week from now, we'll hopefully be getting ready for the 2012 PGCBL Championship Series. All four games today will have an impact on the playoff race. *The lone early game will be played at Doubelday Field in Cooperstown where the Hawkeyes conclude their home slate against the Oneonta Outlaws. Oneonta currently sits in fourth place by virtue of last night's win over Cooperstown combined with Mohawk Valley's loss to Amsterdam. The Outlaws clipped the Hawkeyes 6-2 on Sunday night at Damaschke Field and need win several more games to clinch a playoff spot. This will be the final game in the Mayor's Cup series this season. Oneonta has won seven of nine meetings from Cooperstown however the Outlaws have struggled at Doubleday Field. Both Cooperstown wins in the series have been at Doubleday and both have been by wide margins; five runs or more. The Orange and Black has won four of its last five to jump right into the heat of the playoff chase. Three of those wins have been at home and just one on the road where Oneonta is 9-12 this season. In four recent wins, Oneonta has scored at least six runs and allowed no more than four. The last time Oneonta visited Doubleday Field, Cooperstown came away with a 10-5 victory. *As mentioned above, Glens Falls can lower its magic number to one with a win at home tonight against Watertown. The Wizards have been a thorn in the Golden Eagles' side this season by winning three of the four prior meetings. Watertown is unbeaten at East Field this season with an aggregate score of 15-8 in two victories. The rested Wizards, who were off on Sunday, are 13-9 on the road this season. 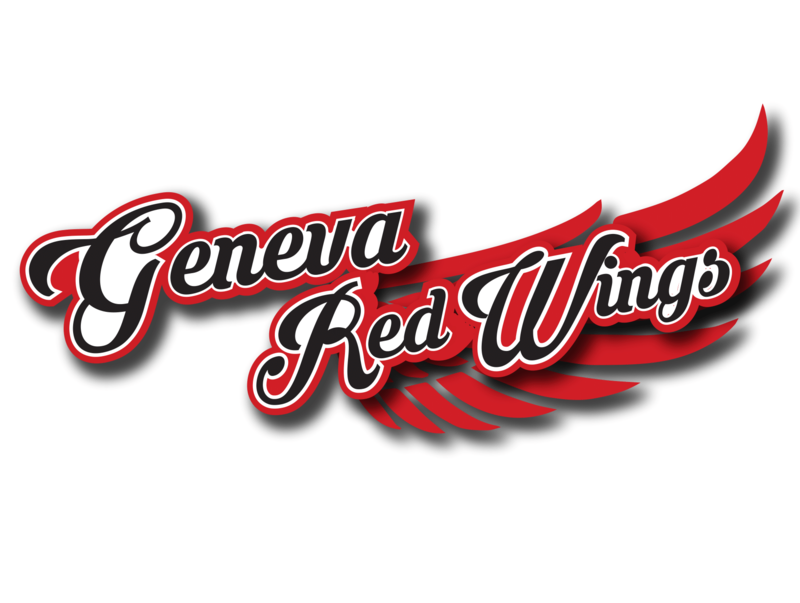 However, Glens Falls hammered Watertown, 14-4, in the last game between the two teams on July 18. Tonight's contest at East Field is the first in a home-and-home series between the two North Country squads which are separated by about a four-hour bus ride. The Wiz Kids are 5-5 in their last 10 games and can create space from eighth-place Elmira with a win on Monday night. Glens Falls has won two in a row to claim a good hold on third place in the league table. The Eagles have been outstanding at home overall with a 15-6 mark at East Field. *Like Cooperstown, Elmira will play its final home game of the season tonight at Dunn Field. The Pioneers have done boffo business at the gate this summer as over 60,000 fans have watched baseball at the Dunn. That's an average of nearly 3,000 fans per game. Mohawk Valley provides the opposition tonight as the Dawgs make just their second trip this summer to the Twin Tiers. The last time the Dawgs went south, Chris Cruz (Cornell) blasted two home runs in a 15-4 whitewash. Mohawk Valley is 2-0 against Elmira this season. The Dawgs have run up 23 runs on the Pioneers in just two meetings. But, Mohawk Valley's offense has slowed lately. Mohawk Valley is 1-8 in its last nine games since the end of an 11-game win streak and in those nine games, Mohawk Valley has scored no more than five runs while allowing five runs or more in six of eight losses. The Dawgs have done well enough on the road with an 11-10 road record however MV has not won a road game since winning both ends of a non-traditional doubleheader at Cooperstown on July 15. Elmira is playing just its second home game in the last nine days. The last time Elmira was at the Dunn for a game was on July 23, last Monday night. Watertown trimmed Elmira 5-2. *Albany needs to win out for a chance at the playoffs. However two of their final four games will be against Amsterdam. One of those two with the Mohawks is tonight at Shuttleworth Park. The Mohawks have had the overall upper-hand in the season series with a 6-2 lead however the Dutchmen have won the last two over the Tribe. 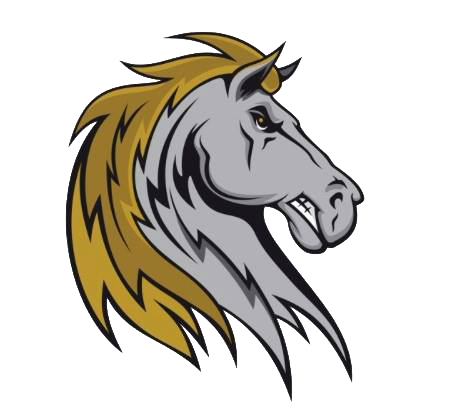 Amsterdam, despite different faces in the line-up from earlier in ths season, has run off four wins in a row since a defeat at the hands of Albany on July 23. in four-straight triumphs, the Mohawks have scored 18 runs while giving up 13. Amsterdam's offense has a healthy .294 team batting average while just one regular starting pitcher has an ERA above three. The game no doubt is more important for Albany; Amsterdam has clinched a playoff spot and will be the top seed in the postseason no matter what. The Dutchmen are 3-3 in their last six games and have not won or lost two in a row since dropping two straight to Glens Falls and Watertown on July 19-20. In its last four games, Albany has scored just 12 runs while allowing 13.